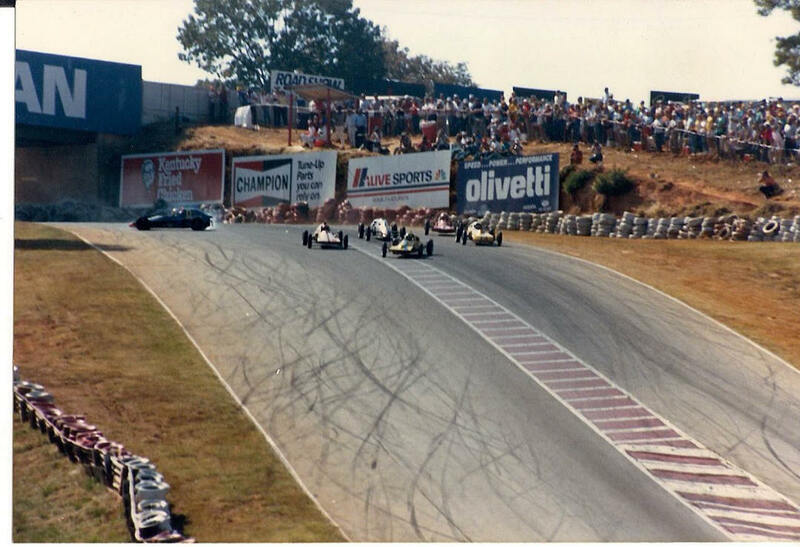 This is a shot of the last lap at the famous (now gone) 'Bridge Turn' at Road Atlanta during the 1987 Valvoline Road Racing National Championship SCCA Runoffs (is that title long enough? <G>). The six drivers in the forefront were Mark Edwards, Jim Averett (tied for the lead at the instant this was taken), me (far left in 'about' third), George Fizell on the right, Chris Shultz (back left) and Donnie Isley (back right). Mark and Jim touched slightly, slid to the outside and left me enough room to go down the inside and take the win. Our regional newsletter ran a 'blurb' about my win and there was a TINY pic associated with it - I saw it and ran down the photographer (Scott 'something, but can't come up with it right now) and bought 6 copies of the print in 8 x 10. 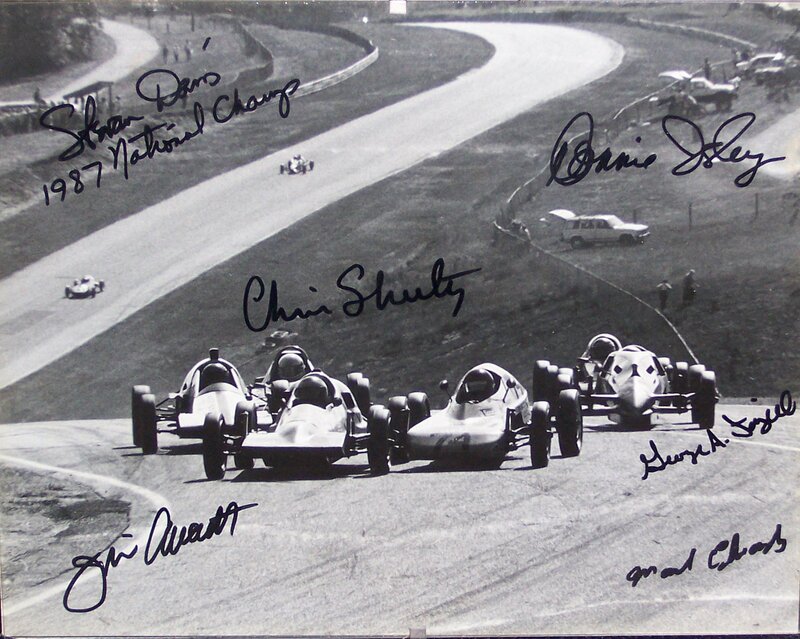 Then at the next Runoffs, I went around and got all six drivers to autograph each pic and then gave each of them a copy. I was also awarded the President's Cup for that drive to win from 9th on the grid.